Richard also wants to see the Iraqi Army and Syrian rebel forces fight together more coherently. “I personally would put more Western troops into the support, training and mentoring role,” he told ITV news. “I'd like to see an Iraqi army and a Syrian army of opposition groups properly brought together and told ‘If you cohere and play this as a single entity you will get Syria back, but if you don't you won’t," he added. 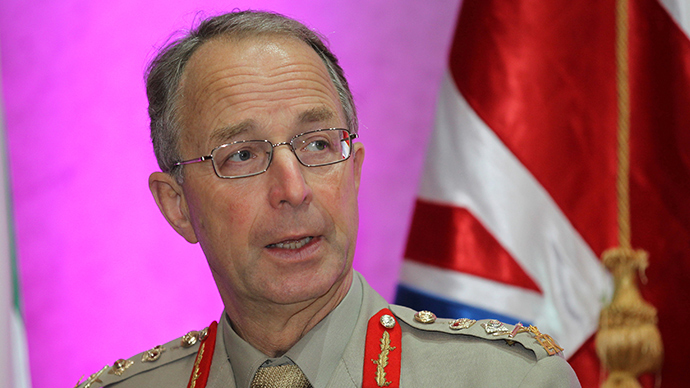 Richards, who led the British military in Afghanistan and later into war with Libya, lamented the lack of command dynamism on show. “It’s not rocket science, it just needs people with vision and leadership, all the things we’ve been traditionally quite good at. Britain is already lending military expertise to the war against Islamic State by providing training for “moderate” Syrian opposition forces. The UK has sent around 75 military trainers and headquarters staff to provide instruction in the use of small weapons, infantry tactics and medical staff. Britain’s military training will take place in Turkey as part of a US-led program to support the “moderate” Syrian opposition. Defence Secretary Michael Fallon has insisted Islamic State (IS, formerly known as ISIS, or ISIL) extremists can only be defeated by local forces on the ground in Syria and Iraq.